There is hardly another branch of production which has more stringent requirements for the purity of a product than the manufacture of pharmaceutical active substances. The principle objective is to ensure sterility. 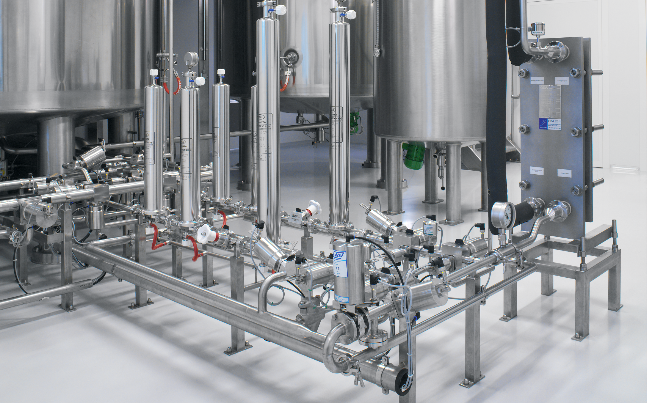 The avoidance of microbial contamination is increasingly gaining significance also in other industrial sectors such as the food and cosmetics industries. End consumers are demanding more frugal use of preservatives. However, this increases the requirements for purity in production. The solutions of SISTO are aiming for these high and demanding requirements. This also means the continuous improvement of the (in-house developed and produced) SISTO diaphragms in order to increase operational reliability and the reduction of shutdown times. 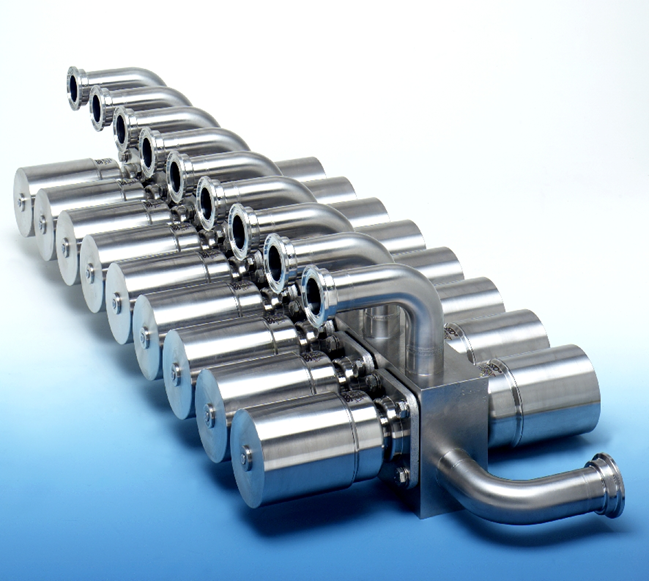 The production of SISTO valves and of all critical components exclusively takes place at our site at Echternach. Our high in-house production depth and the outstanding qualification of our employees not only allow us a comprehensive quality control but also lead to a high flexibility in production which also means the manufacturing of highly customized product variants or even custom solutions. The fittings as shown here are only an example for our custom solutions. They are of the same material as the standard valves produced for a customer for a particular site. The fittings (90° elbow) have a leg length of only 14 mm with size 1/8 inch. 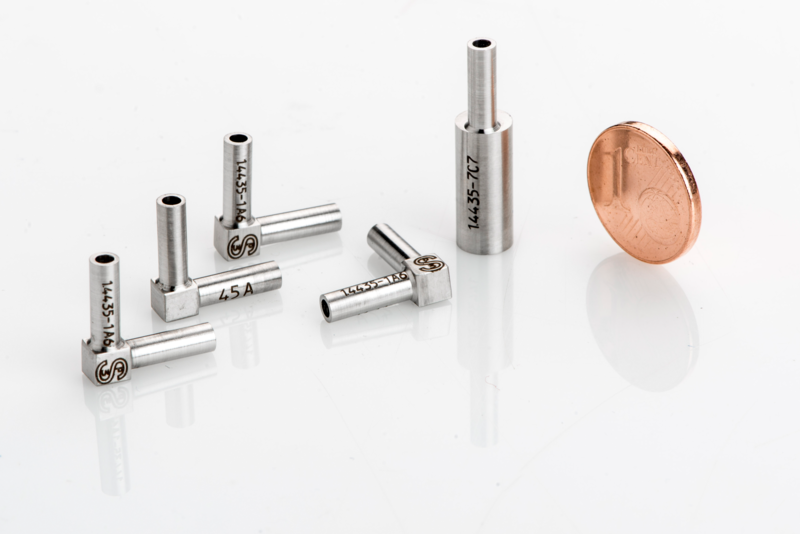 A special feature is the proven surface finish of Ra 0,6 µm to the wetted internal surface. The precision-made parts are orbital weldable. Due to the compact design of multi seat (bloc) valves the wetted internal surface can be reduced significantly as compared e.g. to welded ring constructions consisting of singe seat valves. Pneumatic actuators from SISTO are very slim, thereby additionally supporting a more compact design. Less wetted internal surface means less risk for pollutions or infections in biotechnical processes and can also reduce the loss of product as well as the required space for the installations. In processes with high requirements on efficiency and operational reliability, our customers are using more and more multi seat valves in bloc design. A close interaction between plant and process engineers and our valve engineering department ensures the self-drainage capability even of such designs. A modular concept in design allows for a fast customization of hundrets of possible variants.